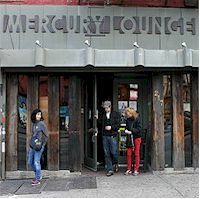 The Mercury Lounge is a music venue in New York's Lower East Side. Once a restaurant, it was converted to an intimate music venue in 1993. Note there is very limited seating and most people will have to stand. Additionally, you must be 21 or over to enter. The Mercury Lounge is one of the top New York City venues for concerts and other events. Don't miss some of the biggest names in music as they come to New York City area's Mercury Lounge to perform live.